It was our pleasure to host the students and professors of Heidelberg University, Germany and JNU, Delhi for a workshop on Caring Relations, Caring for Ageing. This is a part of an ongoing DAAD Project, New directions in Active Ageing and Age Friendly Cultures in India and Germany. My first experience working with Dementia : An insightful journey ! 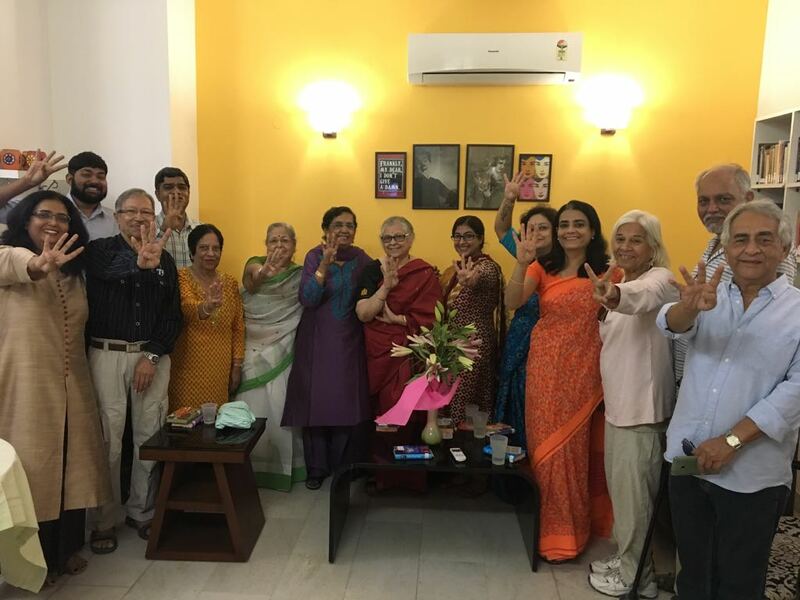 The first two weeks of this year gave me the opportunity to observe and co-facilitate the rare kind of work that Samvedna Senior Care, located in Gurgaon, India, does in its Cognitive Wellness Programme. Culturally and contextually adapted from the evidence-based (Woods, Aguirre, Spector & Orrell, 2012) Cognitive Stimulation Therapy, what I found most remarkable about it is the philosophical paradigm used by the facilitators. Indeed it provides space for the participants to engage and be mentally stimulated, which has been found to delay the progression of dementia. However, it has an even more important aim: to improve their quality of life. Samvedna Senior Care turns 4! I am happy to share with you that this month Samvedna Senior Care, has completed four years!!! Thank you all for your wishes. I started Samvedna with the idea of creating a go-to place for senior citizens to spend quality time and engage themselves constructively during the day.